It’s been rumoured for a while but this morning Fujifilm officially announced the first X-Series weather sealed lens, the XF18–135mm. This new super-zoom covers a wide shooting range of 27mm wide-angle to 206mm telephoto equivalent, and Fuji is billing it as “Professional Grade”. The lens also features a new advanced image stabilisation engine for an incredible 5 stop image stabilisation. It is also dust proof and features weather sealing, for use with the XT–1. Sharpness and rich contrast from the wide-angle to the telephoto, high-performance glass including 4 aspherical glass lenses and 2 ED glass lenses has been used. Multi-layer HT-EBC, which has high permeability (99.8%) and low reflectance (0.2%), is applied to the entire lens to effectively reduce lens flare and ghosting, which often occur in backlight conditions. Utilising the wide zoom range of the lens, there is more freedom in composition and selecting angles. Fast Autofocus: Fuji claims that its inner focus mechanism and linear motor technology are capable of delivering a maximum focus time of 0.10sec. when used in combination with the X-T1 and X-E2. 5.0 Stop Stabilisation: This is apparently achieved using a new high-precision gyro sensor with quartz oscillators which detect movement from high frequency to low frequency bandwidths. Weather Sealing: The weather resistance has been achieved by sealing 20 different locations on the lens barrel and also including special ventilated areas of the lens which prevent dust being sucked into the barrel when zooming. 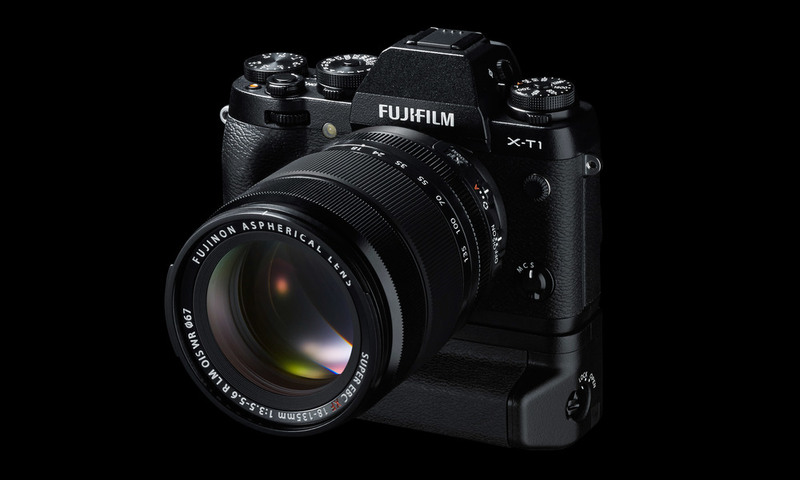 You can see full resolution samples of the new XF18–135 mm lens over on Fujifilm’s product information page. I have to say, they look pretty impressive. The Lens will retail for $899 and is available for pre-order from B&H Photo now. Rico Pfirstinger has a first look at the lens over on Fuji Rumors.